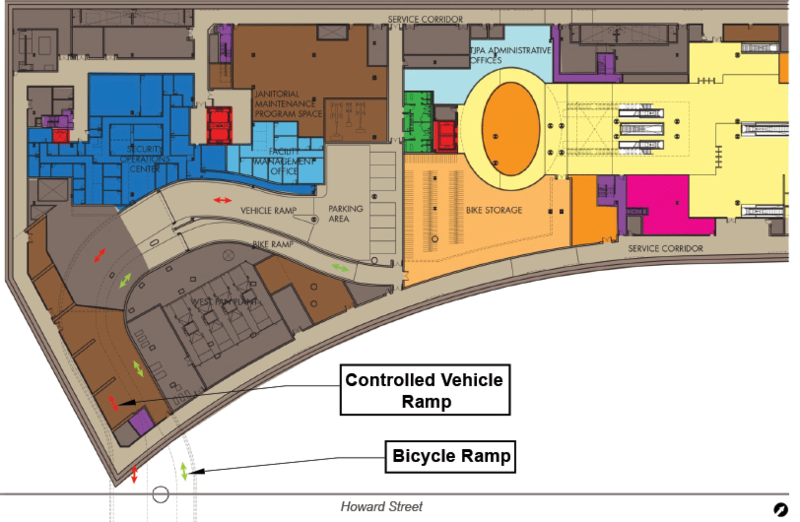 A bicycle ramp would provide access from Howard Street to below-grade bicycle facilities within the Transit Center. A separate controlled-access vehicle ramp to the Lower Concourse (for use by emergency and approved maintenance vehicles) would run parallel to the bicycle ramp. The Bicycle/Controlled Vehicle Ramp would reduce conflicts for pedestrians, bicyclists, and motorists and improve access to the Phase 2 bicycle storage area.